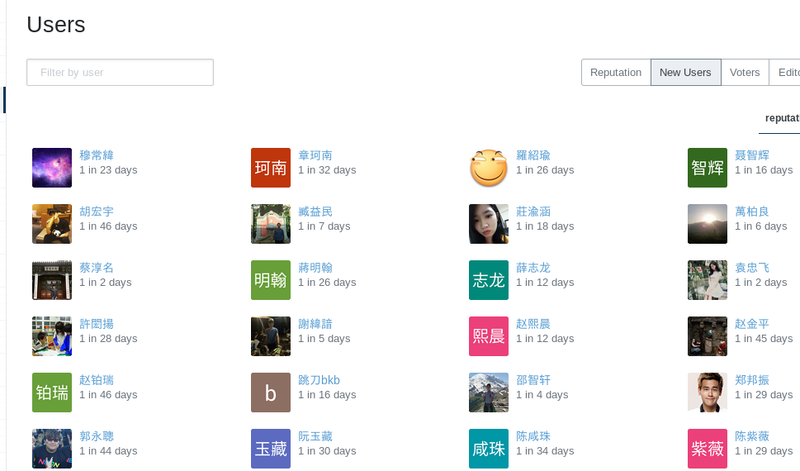 From here, we can see many 1-rep users with Chinese or Korean usernames. Their profile photos are their usernames themselves. I am a Chinese native speaker, I can see their usernames do not seem to be real names. Perhaps there are robots creating new profiles automatically? Do we need to do something about this? Browse other questions tagged discussion specific-user new-users user-names . What new users see when they wish to learn how to ask questions.